All men wish to see the true countenance of Jesus, and all desire to be with Him. I do not think that any brother or sister would say that they do not wish to see or to be with Jesus. 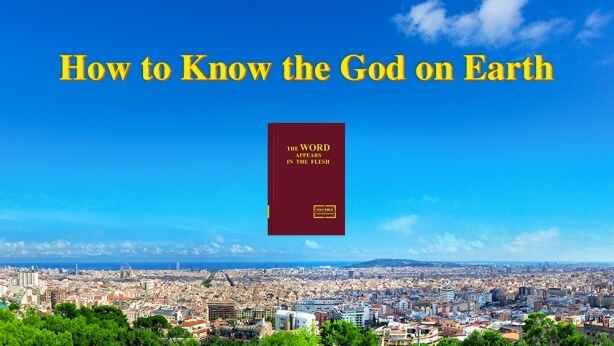 Before you have seen Jesus—before you have seen the incarnate God—you are likely to entertain all sorts of ideas, for example, about Jesus’ appearance, His way of speaking, His way of life, and so on. But once you have really seen Him, your ideas will swiftly change. Why is this? Do you wish to know? Man’s thinking cannot be overlooked, which is true—but more than that, the substance of Christ does not brook alteration by man. You think Christ an immortal or a sage, but no one considers Him a normal man possessed of divine substance. As such, many of those who yearn day and night to see God are actually enemies of God, and are incompatible with Him. Is this not a mistake on the part of man? Even now you still think that your belief and loyalty are enough to make you worthy of beholding the countenance of Christ, but I exhort you to equip yourselves with more things that are practical! For in the past, present, and future, many of those who come in contact with Christ have failed or will fail; they all play the role of the Pharisees. What is the reason for your failure? It is precisely because there is in your notions a God who is lofty and deserving of admiration. But the truth is not as man wishes. Not only is Christ not lofty, but He is particularly small; not only is He a man, but He is an ordinary man; not only can He not ascend to heaven, but He cannot even move about freely on earth. And this being so, people treat Him as they would an ordinary man; they treat Him casually when they are with Him, and speak to Him heedlessly, all the while still waiting for the coming of the “true Christ.” You take the Christ that has already come for an ordinary man, and His words for those of an ordinary man. For this reason, you have not received anything from Christ, and have instead completely exposed your own ugliness to the light. Prior to contact with Christ, you may believe your disposition to have been entirely transformed, that you are a loyal follower of Christ, that no one is more worthy of receiving the blessings of Christ than you—and that, having traveled many roads, done much work, and brought forth much fruit, you will surely be one of those who ultimately receive the crown. Yet there is one truth that you may not know: The corrupt disposition of man and his rebelliousness and resistance are exposed when he sees Christ, and the rebelliousness and resistance exposed at this time are more absolutely and completely exposed than at any other. It is because Christ is the Son of man—a Son of man who possesses normal humanity—that man neither honors nor respects Him. It is because God lives in the flesh that the rebelliousness of man is brought to light so thoroughly and in such vivid detail. So I say that the coming of Christ has unearthed all the rebelliousness of mankind and has thrown the nature of mankind into sharp relief. This is called “luring a tiger down the mountain” and “luring a wolf out of its cave.” Dare you presume to say that you are loyal to God? Dare you presume to say that you show absolute obedience to God? Dare you presume to say that you are not rebellious? Some will say: “Whenever God sets me up in a new environment, I invariably submit without a murmur, and furthermore I entertain no notions about God.” Some will say: “Whatever God tasks me with I do to the best of my ability and am never remiss.” In that case, I ask you this: Can you be compatible with Christ when you live alongside Him? And how long will you be compatible with Him? One day? Two days? One hour? Two hours? Your faith may well be commendable, but you do not have much in the way of steadfastness. Once you are really living with Christ, your self-righteousness and self-importance will be exposed through your words and actions, bit-by-bit, and so too will your overweening desires, your disobedient mindset and discontent naturally be revealed. Finally, your arrogance will become ever greater, until you are as much at odds with Christ as water is with fire, and then your nature will be completely exposed. At that time, your notions can no longer be covered up, your complaints, too, will naturally come out, and your debased humanity will be completely exposed. Even then, however, you still refuse to acknowledge your own rebelliousness, believing instead that a Christ such as this is not easy for man to accept, that He is too exacting of man, and that you would wholly submit if He were a kinder Christ. You believe that your rebelliousness is justified, that you only rebel against Him when He pushes you too far. Never once have you considered that you do not look upon Christ as God, that you lack the intent to obey Him. Rather, you stubbornly insist that Christ work in accordance with your own wishes, and as soon as He does a single thing that is at odds with your own thinking, you believe that He is not God but a man. Are there not many among you who have contended with Him in this way? Who is it, after all, that you believe in? And in what way do you seek? You always wish to see Christ, but I urge you not to hold yourselves in such high esteem; anyone may see Christ, but I say no one is fit to see Christ. 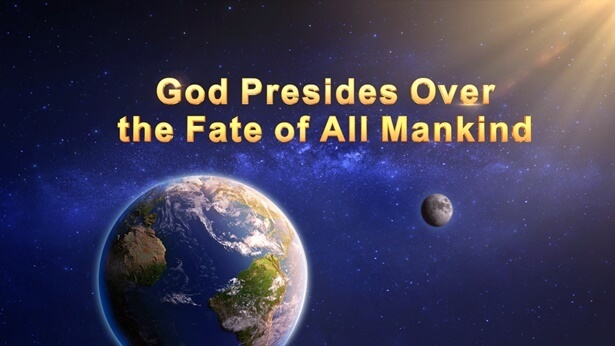 Because the nature of man brims with evil, arrogance, and rebelliousness, at the moment you see Christ, your nature will destroy you and condemn you to death. Your association with a brother (or a sister) may not show much about you, but it is not so simple when you associate with Christ. At any time, your notions may take root, your arrogance begin to sprout, and your rebelliousness bear figs. How can you with such humanity be fit to associate with Christ? Are you truly able to treat Him as God every moment of every day? Will you truly have the reality of submission to God? You worship the lofty God within your hearts as Jehovah while regarding the visible Christ as a man. Your sense is too inferior and your humanity too debased! You are incapable of always looking upon Christ as God; only occasionally, when it takes your fancy, do you grab hold of Him and worship Him as God. This is why I say you are not believers of God, but a posse of accomplices who fight against Christ. Even men who show kindness to others are repaid, and yet Christ, who has done such work among you, has received neither man’s love nor his recompense and submission. Is this not something heartrending? It may be that in all your years of faith in God, you have never cursed anyone or committed a bad deed, yet in your association with Christ, you cannot speak the truth, act honestly, or obey the word of Christ; in that case, I say that you are the most sinister and malicious person in the world. You may be exceptionally amiable and devoted toward your relatives, friends, wife (or husband), sons and daughters, and parents, and never take advantage of others, but if you are incapable of compatibility with Christ, if you are unable to interact in harmony with Him, then even if you expend your all in relief to your neighbors or take meticulous care of your father, mother, and members of your household, I would say that you are still wicked, and moreover one full of cunning tricks. Do not think yourself compatible with Christ simply because you get along with others or do a few good deeds. Do you think that your charitable intent can finagle the blessings of Heaven? Do you think that doing a few good deeds is a substitute for your obedience? Not one of you is able to accept being dealt with and pruned, and you all find it difficult to embrace the normal humanity of Christ, notwithstanding which you are constantly trumpeting your obedience to God. Such faith as yours will bring down a fitting retribution. Stop indulging in fanciful illusions and wishing to see Christ, for you are too little in stature, so much so that you are not even worthy of seeing Him. When you are completely purged of your rebelliousness, and are capable of being in harmony with Christ, at that moment God will naturally appear to you. 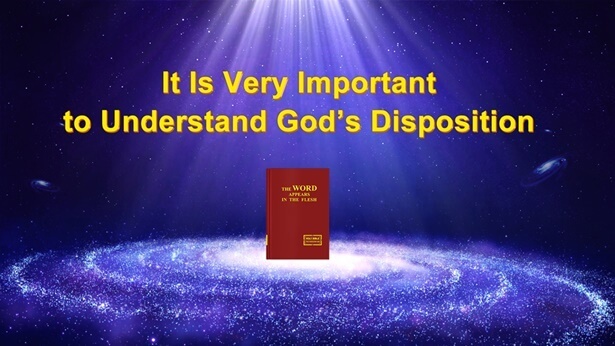 If you go to see God without having undergone pruning or judgment, then you shall surely become an opponent of God and are destined for destruction. The nature of man is inherently hostile to God, for all men have been subjected to Satan’s most profound corruption. If man tries to associate with God from the midst of his own corruption, it is certain that nothing good can come of this; his actions and words will surely expose his corruption at every turn, and in associating with God his rebelliousness will be revealed in its every aspect. Unknowingly, man comes to oppose Christ, to deceive Christ, and to forsake Christ; when this happens, man will be in an even more precarious state and, should this continue, he shall become the object of punishment. Some may believe that, if association with God is so dangerous, then it might be wiser to keep God at a distance. What can people like this possibly gain? Can they be loyal to God? Assuredly, association with God is very difficult—but that is because man is corrupted, not because God is unable to associate with him. It would be best for you to dedicate more effort to the truth of knowing the self. Why have you not found favor with God? Why is your disposition abominable to Him? Why does your speech arouse His loathing? As soon as you have demonstrated a bit of loyalty, you sing your own praises, and you demand a reward for a small contribution; you look down upon others when you have shown a modicum of obedience, and become contemptuous of God upon accomplishing some petty task. For receiving God, you ask for money, gifts, and compliments. It makes you heartsore to give a coin or two; when you give ten, you wish for blessings and to be treated with distinction. A humanity such as yours is positively offensive to speak or hear of. Is there anything praiseworthy in your words and actions? Those who perform their duty and those who do not; those who lead and those who follow; those who receive God and those who do not; those who donate and those who do not; those who preach and those who receive the word, and so on: all such men praise themselves. Do you not find this laughable? Knowing full well that you believe in God, you nevertheless cannot be compatible with God. Knowing full well that you are utterly without merit, you persist in boasting all the same. Do you not feel your sense has deteriorated to the point that you no longer have self-control? With sense like this, how are you fit to associate with God? Are you not afraid for yourselves at this juncture? Your disposition has already deteriorated to the point where you are incapable of compatibility with God. This being so, is your faith not laughable? Is your faith not preposterous? How are you going to approach your future? How are you going to choose which path to take?